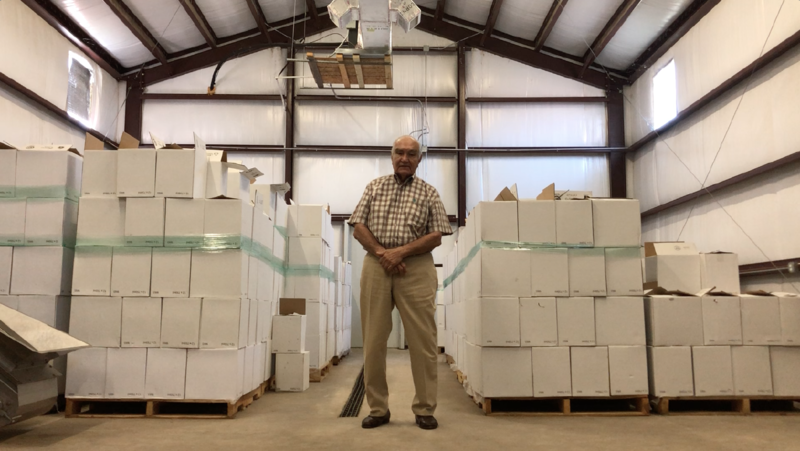 Jaber Estate Winery owner Jorge Jaber, 85, paces through a warehouse he calls his “cellar” — between stacked, white boxes filled with 30,000 to 35,000 bottles of his red and white wine, some dating back to 2011. 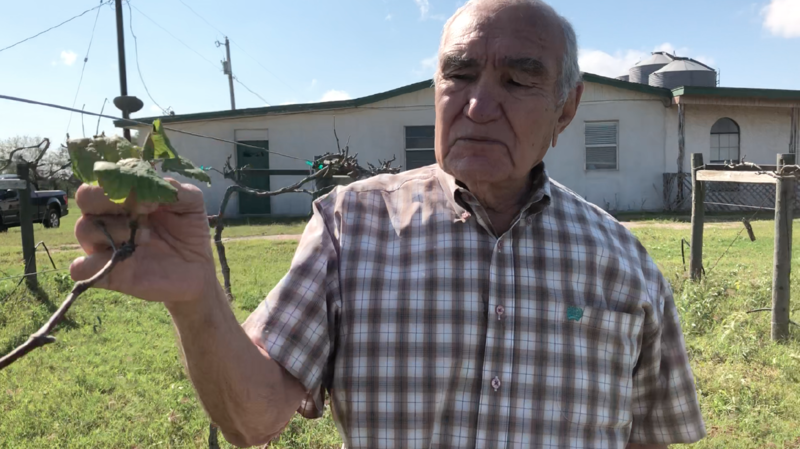 “I wanted to make some wine from the region because there isn’t a culture of wine here,” said Jaber, who recalls falling in love with wine 60 years ago. Planting 8 acres of Black Spanish and Blanc duBois grapes on his 211-acre ranch off Western Road north of Mission, and officially opening the winery in 2012, was the fulfillment of a lifetime dream for the retired businessman. The winery is the Rio Grande Valley’s grape-to-glass winery. “This is our wine,” he said of the Valley. Now, the future of Jaber’s winery is in doubt after disease made this year’s yield a waste. “The problem is that we can’t use those grapes,” Jaber said. “They are full of diseases,” which include soil-borne fungus cotton root rot. Jaber grapes aren’t Vitis vinifera, a common wine-making grape. Instead, Jaber uses a hybrid with characteristics from native plants that are intended to lower the risk of disease. Besides the loss of the season’s grapes, properly removing and replacing the 5,500 plants would be difficult, requiring a “burn out,” he said. A trio of large tanks stand against the wall on the opposite side of the room, past the press which juices his locally grown grapes. Jaber purchased the Italian equipment because he wanted to make wine born and bottled in the Valley, his home. Before opening the vineyard, Jaber visited wineries across the country and throughout Europe. He learned about winemaking through correspondence in Spain, he said. Jaber hosts tours by appointment where visitors can learn about all aspects of winemaking from the owner, and then hit the testing room for some wine. “The people are coming, but not too often,” he said. Tours are his sole means of selling his bottles, as he hasn’t had luck with countless distributors, he said. A leaf runs between Jaber’s fingers as he stands among the rows of his unhealthy grapes. The winemaker estimates he’s sunk nearly a million dollars into the venture. His plan is to hopefully sell some more bottles to give himself more options. He’s considering importing grapes from north Texas and making wine on site. “There’s no life anymore,” he said of the plants no longer producing grapes. He breaks a branch off with both hands, exposing the brittleness of the lifeless limb. The remainder is crushed as his knuckles close. The winemaker said he’d make a decision in the coming months, and he hopes to continue to book tours, which cost $12 a person. To learn more, visit www.jaberwinery.com or www.facebook.com/JaberEstateWinery. The Jaber Estate Winery website and Facebook page have been changed and added.